Mark was Born in Arkansas, but saw a lot of the world because his parents were career military. When he was old enough, Mark followed the military career path into the U.S. Army from which he eventually retired, then served in a reserve capacity for a number of years. 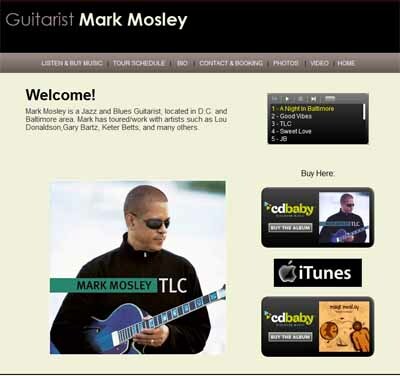 Mark began playing guitar when he was 11, first learning to emulate the playing of BB King. Later he played in school bands and was part of R&B and Jazz bands. 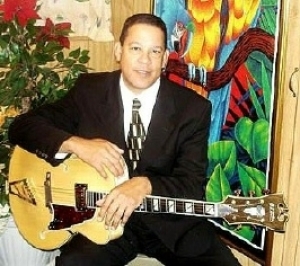 Through the support of his family members Mark kept faith with his music, which has evolved into a mellow, smooth and characteristic sound for him. He has performed with many musical greats. He toured with Lou Donaldson and recalls performing at the Village Vanguard NYC with Lou Donaldson and Dr. Lonnie Smith. 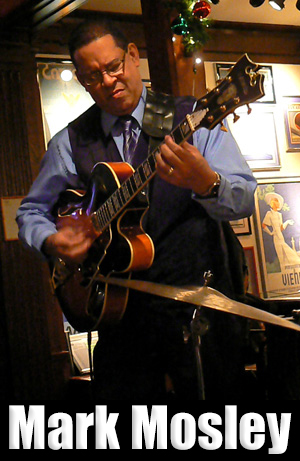 Mark has also shared the stage with Gary Bartz, Keter Betts, and many others. Mark has been a band leader for several years, which also includes while living as a civilian in the Heidleburg Germany region. Some of the major venues performed in as a band leader in the DC and Baltimore area are Blues Alley, Montpelier Arts Center, Twins Jazz, Md. Public TV, WJZ-TV ch. 13 (Baltimore), WPFW 89.3 FM radio interviews/airplay, and various book and music outlets. 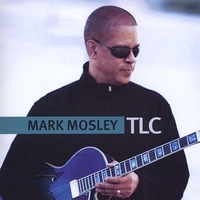 Mark Mosley & Band (Mid Atlantic Jazz Fest) performing "Sweet Love"